“Their beloved brother Felix Y. Manalo was mocked and reviled even as he exhorted the ‘kapatid’ to abandon their worldly desires and instead seek the kingdom of heaven. Gerald H. Anderson, editor, Studies in Philippine Church History, p.355. Mac Fabian, Felix Manalo (A Great Espiritual Leader), 1969, p.5. Mac Fabian, Felix Manalo (A Great Spiritual Leader), 1969, p.5. Quijano de Manila, Ronnie Poe and Other Silhouettes, p.103. Rev. Manuel P. Alonzo, Jr. A.B. Lic. S. Th., A Historico-Critical Study on the Iglesia ni Kristo, pp.6-7. “…Felix Manalo formally started the Iglesia ni Cristo (INC) in a makeshift bamboo chapel on the blighted fringes of Manila in Punta, Sta. Ana. Manalo’s views on Christianity and his interpretation of the teachings of God were so unorthodox that he and the Church were ridiculed and mocked upon with scorn by the predominantly Catholic populace. People, even his friends, were skeptical about his ideas on the ‘true church.’ But gallant as he was, Manalo persevered through all the mockery. Patiently, he trained other men to be ministers and established ‘locales’ composed of poor workers and their families. Cynthia S. Jacinto, “Iglesia ni Cristo, From Ridicule to Reverance,” MANILA Magazine, 1983, p.31. 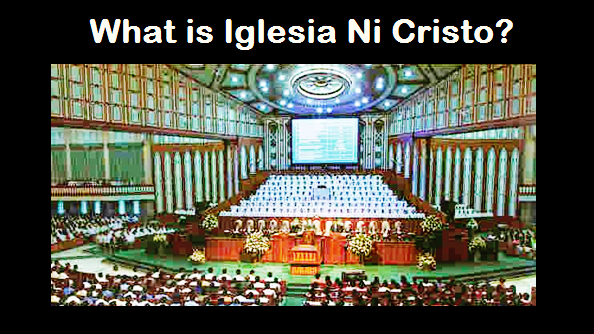 "The Iglesia ni Cristo (INC) is a significant element today in the religious mosaic of the Philippines. Boasting of several million members...it has seen remarkable growth since its humble beginnings in 1914." " ... the INC each year dedicates approximately 10O church buildings that bristle with magnificent spires, feature concrete soaring arches, are painted in distinctive pastel colors, and display high standards of maintenance. Enclosed by imposing fences and carefully manicured grounds, each church dominates the local skyline. The imposing sacred structures of this dynamic religion have thus imprinted both urban and rural landscapes of the Philippines." Reed, Robert, "From local to global: The expanding mission of the Iglesia ni Cristo in the Philippines and throughout the world" Retrieved April 21,2003 from http: //ww.ethnicstudies. "Yet for all its magnificent temples and imposing edifices and other signs of material wealth, the Iglesia has remained faithful to its mission as the church of the poor. ... its deeds in improving the life of its followers, spiritual and physical, are indelible tracks in Philippine religious movements." 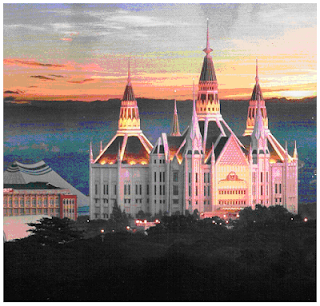 "Why is it that everytime we get to talking about a strong and well-managed, disciplined and powerful church, we invariably point to the Iglesia ni Cristo? 'We would even heave a sigh and wonder what makes the INC so influential. What makes its members so committed and disciplined that they attend services twice a week without fail?" "The INC stands out like a rock of sobriety, unity and nationalism amid the political, and economic turbulence shaking the country today. ..."
"The Iglesia ni Cristo (INC) is a significant element today in the religious mosaic of the Philippines. Boasting of several million members..., it has seen remarkable growth since its humble beginnings in 1914." "'The Iglesia Ni Cristo has indeed set a good example to other church groups and non-government organizations extending assistance to our brothers and sisters in war-torn places Mindanao,' [Bess] Masangkay, who is also the president of the Quota International of Las Pinas, an NGO known for its various socio-civic services in cities of Muntinlupa and Las Pinas, further stressed." “Beyond ministering to the spiritual well-being of its members, the lglesia ni Cristo epitomizes and compassion concern even for those outside its fold." "The Iglesia ni Cristo is significant not only in the Philippines. As one of the largest, most powerful and dynamic independent, indigenous churches in the Third World, the Iglesia ni Cristo demands our careful study What is the story of the Iglesia ni Cristo? Can we discover the reasons for its remarkable growth? Why has it been so successful in propagating its teachings in areas where other churches have grown only with great difficulty? These questions will give direction for this investigation"
Origin and History of the Word "Bible"